See it now, offers will be presented Monday February 19 at 10AM. Check out the video for a personal tour. This home has been lovingly taken care of by the same owner for 40 years. 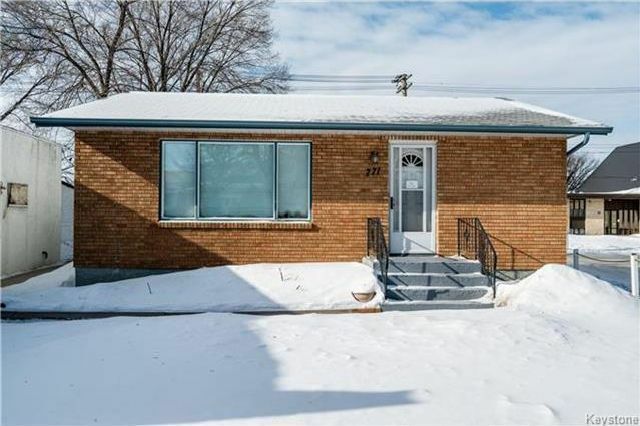 Spacious 900 sq foot bungalow with large eat in kitchen having oak cabinets and built in dishwasher. Hardwood floors in living and hallway accented by newer laminates in bedrooms. Main floor bath has newer fixtures. The basement has rec room, 3 piece bath and two more bedrooms. All that is needed is flooring to complete the finishing. 40x120 foot lot has double garage and carport. Convenient location close to Grant Park shopping, transit, and Pan Am pool. NOTE: The windows in the basement are not legal egress size for bedrooms.